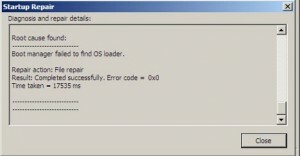 Microsoft Windows 7 provides some unique functionality that are build specifically to overcome some system problems. 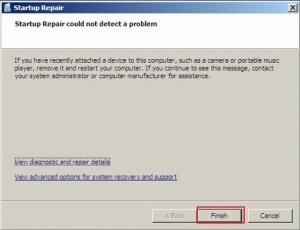 This articles will guide you on how to use Microsoft Windows 7 Startup Repair to identify and repair certain errors. 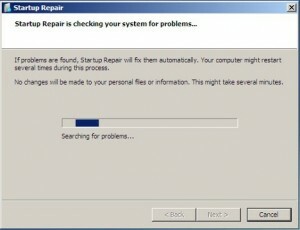 Microsoft Windows 7 Startup Repair is a system recovery tool which you can locate in the System Recovery Options menu. This tool can help you overcome specific system problems that might hinder in successfully booting Windows 7. Missing or damaged system files is one good example of such problems. Windows 7 Startup tool automatically starts up whenever Windows fails to boot properly and start scanning your computer for issues and later attempts to fix them. There are possibilities that the utility my not start automatically (depends on nature of issue) and thus you need to run the utility manually through System Recovery Options. 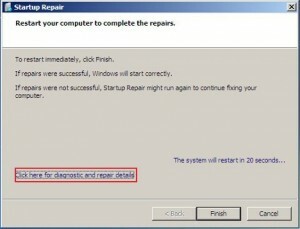 Follow the steps below to use Windows 7 Startup Repair! 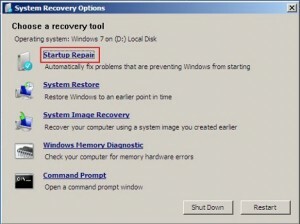 Select Startup Repair from the System Recovery window. 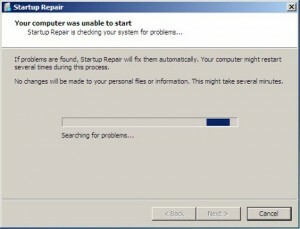 Startup Repair will start scanning your computer and then attempts to fix the issues so that your computer can boot properly. If there are no issues found, then click on Finish. System Recovery Option window will appear where you can Shutdown or Restart your computer. In case of any issues found during the scan you will be asked to restart your computer after the scan. The system will repair the issues and if successful, your computer will boot correctly OR it may run the tool again in order to fix another issue. To find the details of the repair process, you can click “Diagnostic and Repair detail” link. Diagnostic and Repair detail link will give you details of the repair process. If the repairs are not successful, you’ll see a summary of the problem and at this point, the tool will suggest to use System Restore for fixing the problems. On canceling the System Restore option, you’ll be prompted to send error information to Microsoft. Choose your desired option and you are done. O really ? This functionality didn’t exist in vista ? I am doubtful, This application exist in Windows vista installation cd. It is one of the best utility for repairing windows operating system. This is RED Commander for windows 7 and these are available for Vista and XP-SP3 also. Here is the torrent name “MSDaRT – ERD Commander 2009 [vorpox][h33t]”. They boot from CD and it loads the registry of local operating system and problems can be removed very easily. I prefer using Hirenboot CD though. Thanks for sharing the Torrent link..